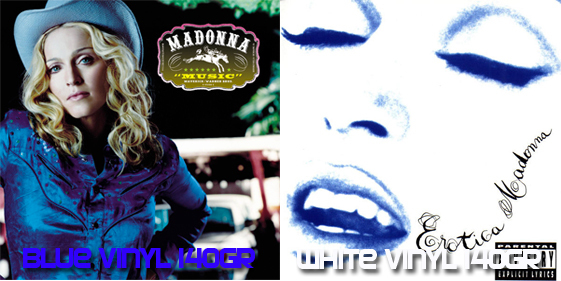 Erotica (white) & Music (blue) colored vinyl Rhino re-issues to be released in Holland too! We have just had confirmation that both the colored vinyl re-issues of Madonna’s Erotica (white vinyl 140gr) and Music (blue vinyl 140gr) will also be released in Holland! Both titles will be released on October 19, stay tuned for pre-order links. Rhino will be releasing more Madonna re-issues on colored vinyl! Stay tuned for more info asap! Madonna Lucky Star rare Canadian promo ad – newly added! ‘Madonna couldn’t be hotter! Her self-titled debut album is now GOLD in Canada & on the verge of eruption, courtesy of her 3rd CHR hit’. 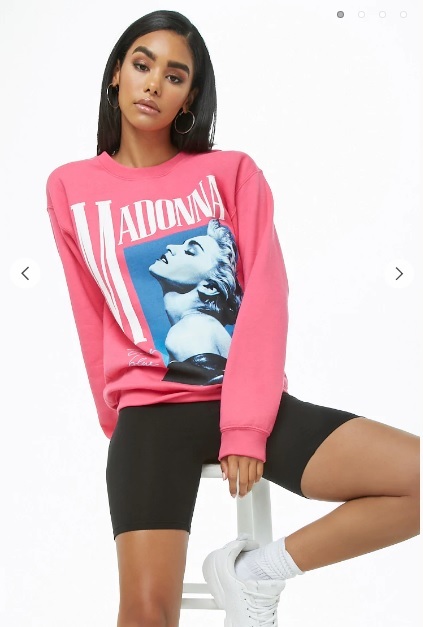 Madonna tank at Trunk Ltd order now! This stunning (official) tank is now available at Trunk Ltd! Madonna raw edge boyfriend muscle tank. Trunk Ltd trademark novelty seam stitching. This True Blue inspired sweatshirt is currently available at the U.S. online store of Forever21. We have just added this rare original promotional ad for the Like a Virgin album from Canada! To check this out and many more rare items visit our Like a Virgin page HERE.